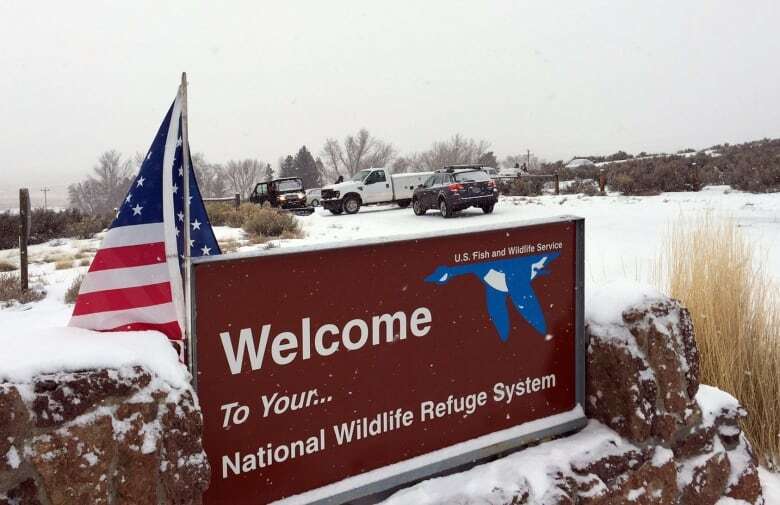 A group of armed militia are occupying a federal wildlife refuge in Oregon, protesting what they call repeated violations of their constitutional rights. Tensions are high and there is no sign a militia group is leaving, two days after the men occupied a federal wildlife refuge building in Oregon. The occupation began after a peaceful protest in support of two cattle ranchers, Dwight and Steven Hammond, who were convicted of arson and ordered to begin a new prison sentence on Monday. Prosecutors say the father and son burned about 130 acres of land to cover up poaching. "We had a nice peaceful rally, which is exactly what I promised the community of Burns," rally organizer BJ Soper tells As It Happens guest host Helen Mann. "I was upset. I'd worked a really long time out in the community trying to build their trust." 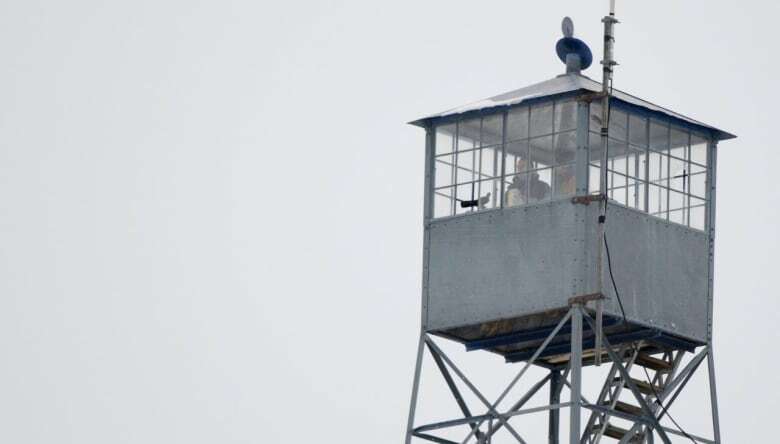 The pair turned themselves into the federal prison, while the armed standoff continued. 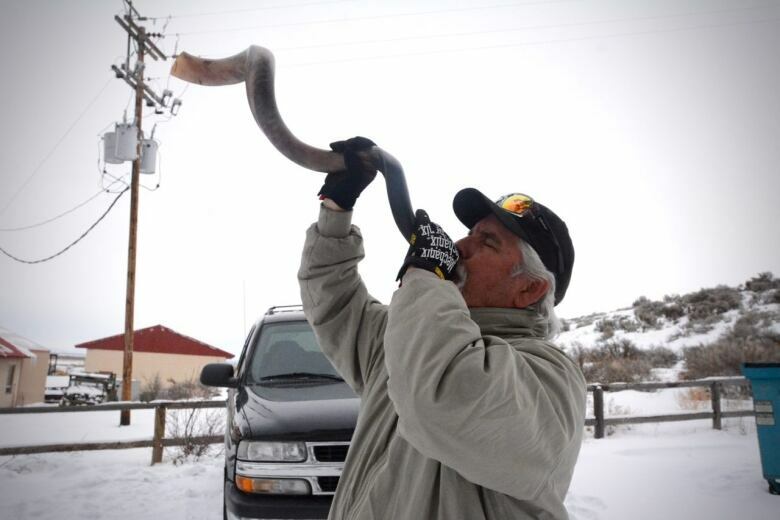 Soper organized the initial protest but lost control when Ammon Bundy, a Nevada rancher who arrived in Burns, Ore. last month, urged protesters to join his planned occupation. 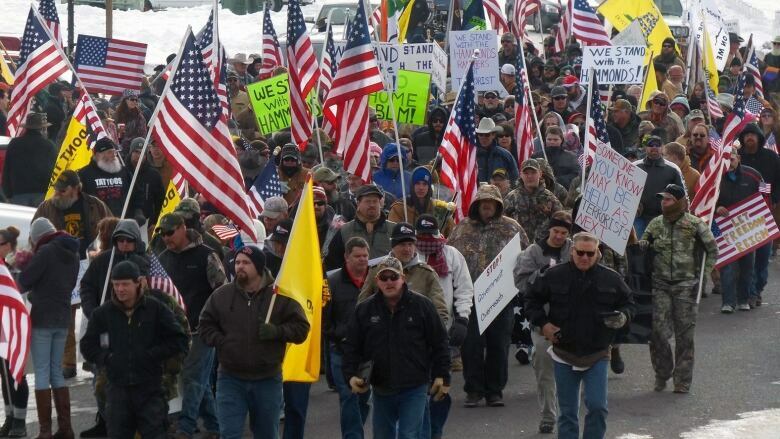 "As the rally came to a conclusion, back at the starting point, Ammon [Bundy] jumped up on a snow bank and announced what the plan was and that's when all the chaos kind of broke loose," Soper explains. "It was really devastating to me because I felt that it was the wrong action to take at that time." According to Soper, Bundy's aggressive tactics and efforts to mobilize other armed protesters from outside the area have undermined the trust he built with the community. "I felt they left me standing there holding the torch, to answer to the community for actions that I didn't know they were going to take and that put not only myself, but my children that I had there standing with me, in danger," Soper explains. Soper insists that he still supports Bundy's attempt to challenge a decades-old frustration with the federal government's regulation of land claims. "What you're seeing is a huge amount of frustration that's taking place over the entire western United States, not just Oregon or Harney County, coming to a head," Soper explains. "I do not agree with the tactics that they've taken, but as it stands, I do agree that something needs to be done to get that conversation and people to the table to have these hard talks." As the standoff escalates, Soper says that the FBI agents in the area haven't fazed the armed protesters. "They're out there prepared for the worst. They've said goodbye to their families because they don't know how the government's going to react." On Jan. 3, the Sheriff of Harney County, David M. Ward, said that he believes the group occupying the refuge "hope to overthrow the government." But Soper dismisses the claim, as well as suggestions the occupation is a form of "domestic terrorism." "I believe what they're trying to do is bring two sides together," Soper reasons. "Utilize the occupation to force communication between the government and the people out there." 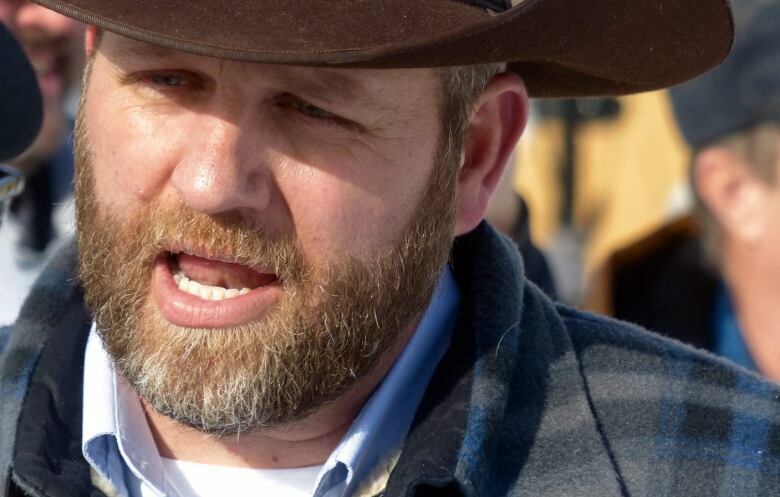 He adds, "I would be prepared to stand completely unarmed in front and create a buffer within both sides of the line, and there's a lot of people within Harney County that would do the same and there's a lot of people within this country that would rally to do the same."